Linking Hands a Cancer support squedge quilt. “Linking Hands” a Cancer Support Quilt. 14 years ago I lost my sister, Lisa, to breast cancer and those tough memories were made fresh in my mind earlier this year, a very dear friend Sharon, was diagnosed and had her breast removed. I turned to quilting for comfort and as I worked with my fabrics my thoughts were on the quilt I had made for my sister all those years ago. That quilt was too big and heavy for Lisa’s sensitive body when she was undergoing treatments, but the making of it gave me comfort and the thought behind it gave her comfort. And I wanted to do something similar for Sharon. I was trialling a pattern my friend Cheryl Phillips from Phillips Fiber Art had designed .It was just perfect in that it conveys what I was wanting to show Sharon. Then I thought perhaps I can do something for Sharon AND many other women too who are touched in some way by this hideous disease by giving back to those that helped Lisa and was currently helping our friend. 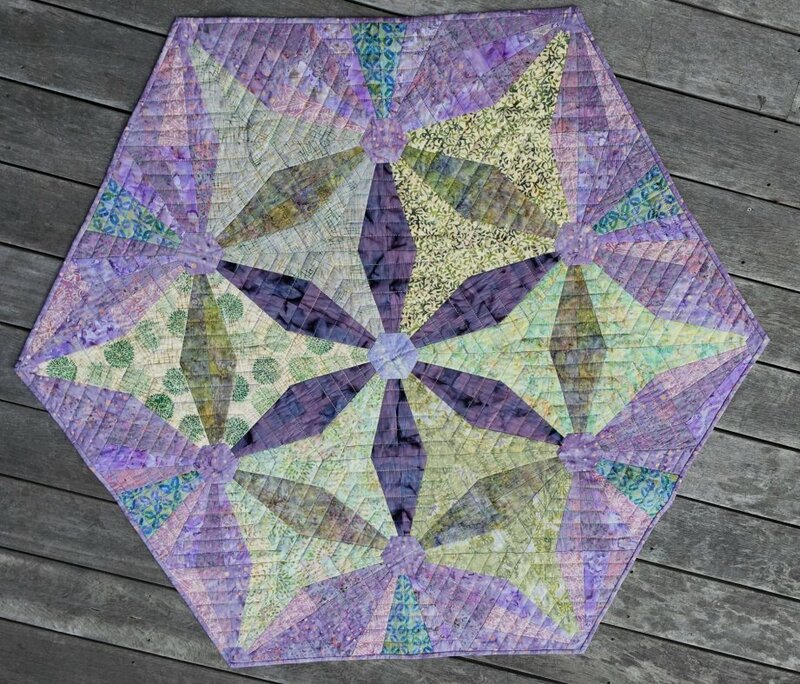 Buy the squedge tool that I used to make Sharon’s quilt from my website and I’ll donate $10.00 from every tool sold to The New Zealand Breast Cancer Foundation. Perhaps you’d like to make a quilt for someone you know going through a tough time? Or perhaps you can make a beautiful quilt for yourself to remind you of the circles of friends and family you have surrounding you. Click here to Download Free Pattern "Linking Hands"
Click here to purchase 15 Degree Squedge Tool. Click here to purchase the Linking Hands Fabric Kit.